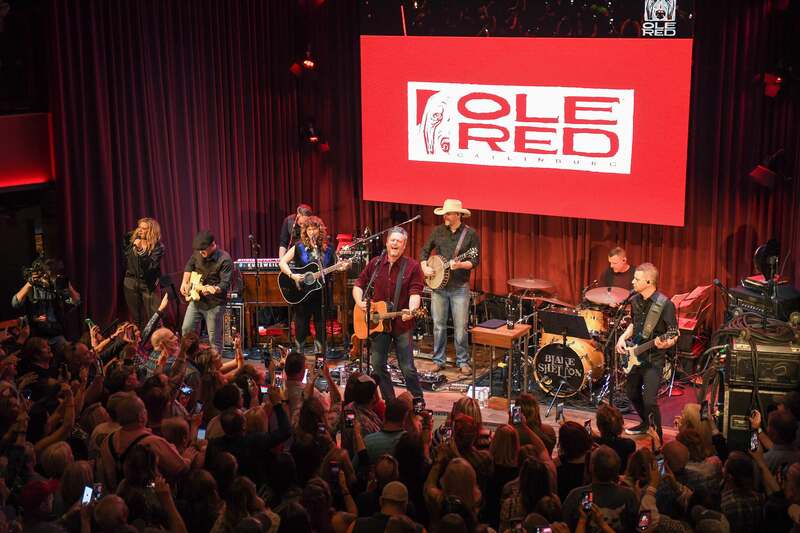 Gatlinburg, Tenn. – Ryman Hospitality Properties (RHP) and Blake Shelton’s long-awaited restaurant and bar Ole Red Gatlinburg is officially open in downtown Gatlinburg. 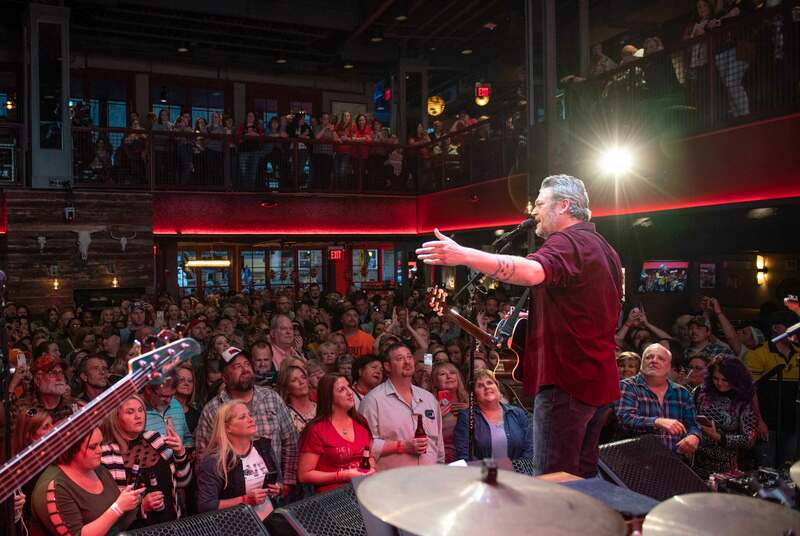 The entertainment venue celebrated “Spring Blake” yesterday, March 13, with a full day of activity including a memorable performance by Shelton featuring special guests the Swon Brothers on the Ole Red Gatlinburg stage. Photos from the performance are available for download HERE. Shelton closed the two-hour set with a collection of his hits including “Austin,” “Honey Bee,” and “Boys Round Here” before returning for an encore of “Footloose” and “God Gave Me You. Week-long “Spring Blake” fun for the can’t-miss new destination will continue with Blake-approved performances from former contestants on NBC’s “The Voice” from March 14 – 17. Visit olered.com/gatlinburg/ for complete event calendar, menu items and the full, daily line-up of live music. Ole Red Gatlinburg is located at 511 Parkway, Gatlinburg, TN 37738. Ole Red is a lifestyle and entertainment brand inspired by Blake Shelton’s clever, irreverent third-chart hit, “Ol’ Red.” You can currently find Ole Red entertainment venues and products in two locations in the United States, the flagship multi-story bar, restaurant and entertainment venue in the heart of downtown Nashville’s famed Lower Broadway, the very first location in Blake’s hometown of Tishomingo, Oklahoma. The Company has announced additional location in Orlando, Florida (2020). 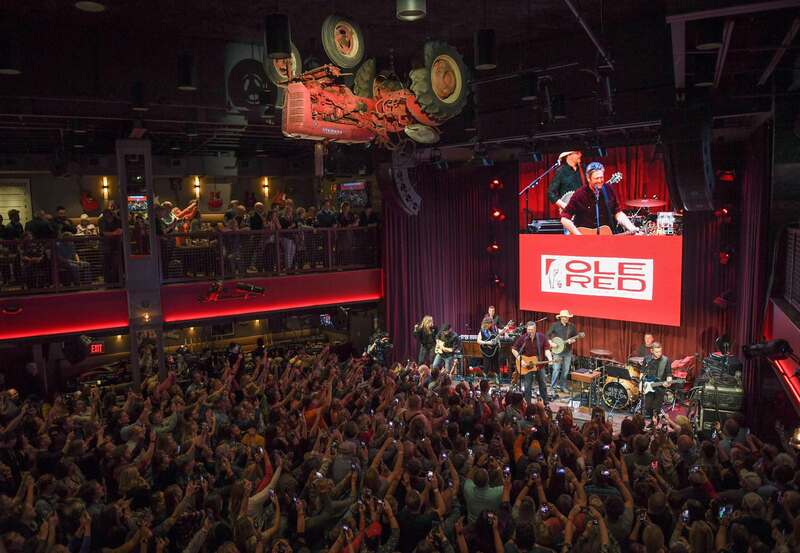 Ole Red is owned and operated by Ryman Hospitality Properties, Inc. as part of its Opry Entertainment division.  For additional information about Ole Red, visit us online at olered.com.